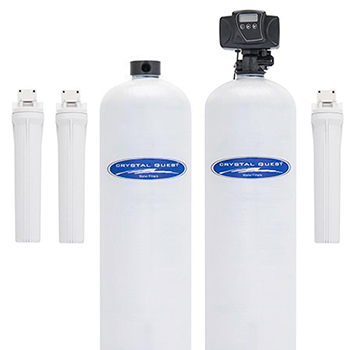 Eagle 4000A is the most modern water filtration system on the market. A combination of an Eagle Automatic Whole House Water Filter and Anti-Scale water conditioner. Join thousands of satisfied customers who own this Ultimate Home Water Quality Appliance! 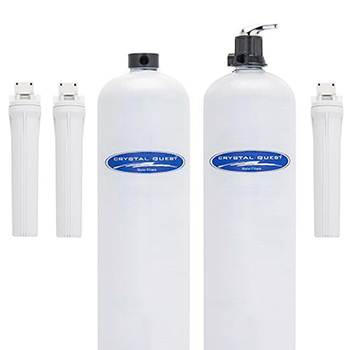 System comes in 2 different sizes for smaller or larger homes, and can also be configured with manual or automatic backwash.Stop buying expensive bottled water or lag salt for your softener, and finally enjoy clean water from every tap in your home, while saving time AND money! We didn't stop at offering a carbon filter and calling it a "whole house", like some of our competitors. Instead, we've designed a fully functional, 15-stage system that uses latest water filtration technologies to bring you the most advanced Home Filtration System on the market. First, water travels through a 20" sediment cartridge that removes sediment, silt, sand and dirt. 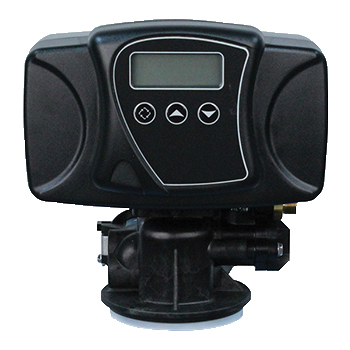 Also this extends the life of water softeners and water filters, and prevents damage to control valves or pumps. In stages 2 through 12, water travels through a multi-stage Whole House water filter that removes hundreds of contaminants from water (if present). 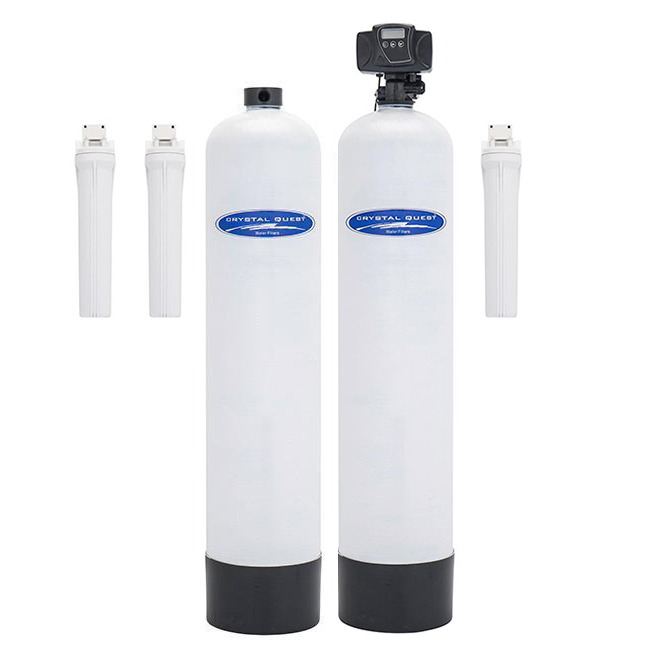 Filtration includes KDF-85 and KDF-55 ( Eagle Redox® Alloy ) and GAC (Granular Activated Carbon), infra-red and mineral balls, ion exchange resin and a powerful magnet ( 12,000 gauss ) for magnetic resonance activation of the water. In Stage 13, water flows through an Eagle Anti-Scale Salt-Free Water Conditioner tank. In Stage 14, water travels through a 20" solid carbon cartridge for a final conditioning of the water and removing any remaining contaminates and VOC's which may be in the water. In Stage 15, water passes through a 0.2 micron Ultrafiltration membrane (UF), which is highly effective for removal of bacteria, colloids, proteins, viruses, parasites and other organic molecules larger than 0.1 micron in size. Fiberglass or Stainless Steel tank for the media. 750,000 or 1,000,000 gallons of capacity. Anti-scale conditioner has no regeneration, no back-washing is required and NO SALT to add. Whole House Water Filter with automatic backwash for worry free operation (available with manual backwash , please inquire). Use on cold water line only! Maximum Flow Rate: 11 GPM for 1.5 cu.ft., 13 GPM for 2 cu.ft. Ultrafiltration membrane filter life: 2-3 years.